The main objective of the project is to promote the transfer of vegetable, fruits, seeds, etc., production technology to private domestic settings and to create sustainable enterprise for both women and aspiring youth. The project also entails the creation of cooperatives, which aims to educate stakeholders on Nigeria’s agriculture industry, agricultural innovation potential, and socio-economic opportunities offered by the concerted actions of the project’s principal partners. – Present sustainable employment solutions, promotion and development of Micro, Small and Medium Family Business (MSMEs), and the optimization of entrepreneurial capacity of women and young people. – Share with women and youth entrepreneurs’ access to domestic and export markets through business partnerships. – Contribute to the growth of the sector through the amelioration of food processing processes by the transfer of technology. This project is started in Senegal on March the 26th 2015, supported by ADA, IDA, ECOWAS, worldwide training institutions, the local government, universities, experts and women associations. The first product to transform is peanut, so every woman can start with a small unit of oilseeds pressure for cold extraction of edible oil and protein meal for animal feed, which has a fast return on investment. Others products could be processed in function of the Country and the market request. Now in Senegal IDA has an incubator centre to train the new entrepreneurs and give the best technical support for the project success. 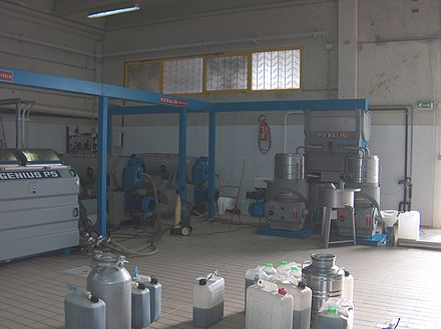 In the incubator centre we have several oil press for a global production of 380 kg/h, a training center, an R&D center and a follow-up team for the outside cooperatives. The Rice Pilot project in Ivory Coast is managed by IDA and RAFAA. The Association called RAFAA (Network of Associations of Active Women in Africa) gathering more than 315.000 Women and is leaded by its National President Mrs. KONE Antoinette. The first cycle of the Pilot, is a 100-hectare perimeter landscaped irrigated. The cultivation method used is the transplanting which allowed to guarantee a uniform emergence and above all a much more competitive yield. For the rice processing pilotwe have chosen a machine with a capacity of 300/500 kg / hour of rice input. The machine is able to process: Hulling rice with a rubber roller, Separation of the straw with a forced ventilation system and Whitening brown rice with clutch. To sell the women cooperative production we have established a partnership with an e-commerce african platform: AWALEBIZ. AwaleBiz is the world’s number one online marketplace for unique African products, arts and crafts. In the spirit of the game ‘Awale’, based on the idea of spreading seeds to collect fruit, our company focuses not only on the bottom line but on promoting our artists and sharing the wonderful African culture. Awalebiz is the outcome of miscellaneous factors combined in the path and life of an IT Engineer who has lived and worked in Africa and Europe, traveled across different continents while discovering the richness and beauty of each country. AFP works for the women empowerment, the fight against poverty and precariousness and for sustainable development. IDA and AFP are working to implement a series of programs aimed at improving the economic and social situation of African women through the development of the Women’s Empowerment Project, called NourDign (Nourish and Dignity). 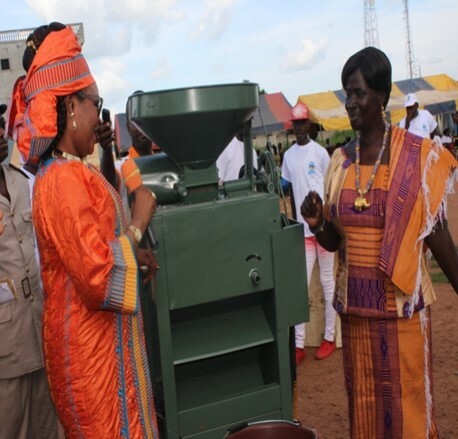 By equipping small groups of women with processing units, the program allows them to improve their living standards and also through the networking of these small companies across the country, can contribute to the consolidation of the African economy. The aim is not only to equip women with machines but also to teach them, through a training and knowledge transfer programme, entrepreneurship in order to improve their economic situation and social development. Karitediema is a cosmetic brand, made from shea butter by women’s cooperatives. Ms. Ndieme Ndiaye is the founder of the company. Karitediema works in partnership with IDA for the development of NourDign project.